A bold and cheerful orange. This colour works well in typographical elements and paper products, but also when used for shiny enameled surfaces. A striking highlight, evoking building paraphernalia and warning signs. 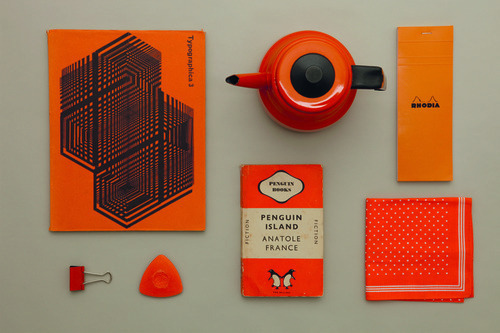 And for us a Penguin will always be, not black and white, but orange!